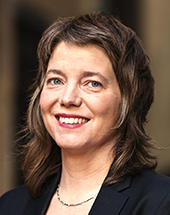 Malin Björk has been a Swedish Member of the European Parliament since 2014. She belongs to the European United Left/Nordic Green Left parliamentary group and is a very active member of the Civil Liberty, Justice and Home Affairs Committee (LIBE) in Parliament. A few months ago she featured in many newspaper articles for successfully opposing the departure of an airplane that was due to deport an Iranian man to Iran, despite him having lived in Sweden for a long time and having all his family in the northern country. Eager to know more about the intersection of genuine activism and European politics, Asylum Corner met Malin Björk for an interview. Asylum Corner: What is the European Parliament currently doing for the migration crisis? Malin Björk: I think that Europe’s response to this challenge will define who we want to be and who we are, so in many ways it is a very profound issue for me to work with. I have been in the European Parliament since 2014 and I decided to work in the LIBE Committee due to its focus on asylum and migration policies. For me this is a very important area of work as a parliamentarian. In first year we tried to raise the issue about Fortress Europe and Mos Maiorum, it was us on the Left who put it into the agenda, and it became a plenary debate where people had to stand up, going all the way to the ALDE representatives (the Liberals) to say that that was not ok. As a starting point this was quite important to set the tone. Throughout the year we have worked to systematically challenge the Dublin Regulation: we hosted NGOs, like Migreurop and the Frontexit campaign, we collaborated with many people from outside Parliament in order to shift the agenda and the way we speak about asylum and migration. I think we have been to some extent successful, but I also think that what was really the turning point was that we got the Strategic Initiative Report agreed, with an interesting rapporteurship consisting of an S&D and a member of the EPP – although I am not sure that this is the best solution because it blocks things at the lowest common denominator and Fortress Europe cannot be taken down by lowest common denominators. So we got that report on the table and now it will be interesting to see what will be the outcome. Before summer we voted for the relocation mechanism, first the 40,000 then the 120,000 relocations; we know it is far too little. The Commission has put forward a proposal for a permanent relocation mechanism, which seems completely blocked in the Council. What worries me a lot now is that from some initial positive developments some successive Council meetings have really just reinforced Fortress Europe policies: externalization of the European Union borders, returns, deportations, readmission agreements, reinforcement of Frontex, the proposal for joint border guards and the possibility for Frontex to intervene in countries independently, the constant focus on the right of smugglers, the outsourcing to Third Countries. AC: Your country, Sweden, has been on the frontline since the beginning. What does the situation look like in Sweden at the moment? MB: Actually, as of week 42 we have had 97,000 asylum claims and 19,000 of them are unaccompanied minors. It is for sure a challenge for the reception facilities, for the organizations, but Sweden is a very well organized society. I recently visited a reception facility for unaccompanied minors and people work extremely hard to make it work, but it is true that the situation is extraordinary, we have had to put up tents and the last time we did that was during the Balkan wars. AC: From a civil society point of view, what is the scenario in Sweden? MB: The Swedish population supports the government in taking responsibility. 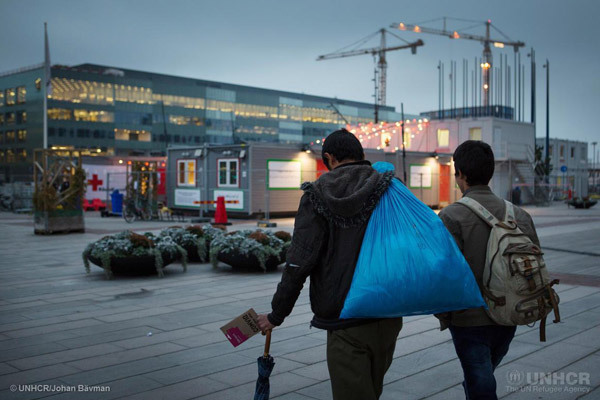 We have seen many people welcoming the refugees and this is very important symbolically. But we have some racists too. In the past few weeks, five planned housing sites for asylum seekers were set on fire. I do not think these people are organized, I think they are just local racists. The fires are investigated as arson and thus the responsible partie(s) will be charged with criminal penalties. AC: Is the government taking any special measure to tackle the situation, as is happening in several European Countries? MB: Yes, the Swedish Parliament is currently discussing a law that obligates all municipalities to prepare for reception of asylum seekers, since until now it has been voluntary. This law would make it obligatory for every municipality to prepare itself to receive asylum seekers. For us on the Left this is a logical step: everybody needs to contribute, and if you look at who was not contributing you will only find rich right-wing-governed municipalities. AC: The issue of solidarity is a very thorny topic at the European level too. MB: Yes, most definitely. If we bring this thought to a EU level, we should talk about the relocation mechanism and the fact that poorer border countries should not take on all the responsibilities. I personally think that the Member States are hiding behind each other’s backs, saying “We all have to agree, all the 28 Member States”. So, what are we doing, are we going to wait for all those countries that are very hostile towards refugees? I think it is irresponsible and the Treaties have been created in order to enhance cooperation for the MS that want to go further. We just have to be creative. If the States do not use this possibility, I suspect that they are actually using each other to hide behind. I think countries like Sweden, Germany, Austria, France, could put a lot of weight behind such a thought and do something decent. And if not, it shows that the EU is completely failing. I have always said that the EU was not designed to deal with the refugee situation such as the one we face today, it was made to create an internal market, therefore I think that to find a solution in this area we need to invite the UN and the UNHCR to become leading players since they have legitimacy, experience and the human rights perspective we need. AC: So, what will be your voting position in Parliament in regard to the new Council decisions? MB: We (the GUE/NGL) and probably the Greens, will not vote for an increase in Frontex’s budget, I will not vote to expand the mandate of Frontex, which would basically mean supporting push-backs.